The genus Protea was named in 1735 by Linnaeus after the Greek God Proteus, who was known for being able to change shape at will. According to legend, Proteus had the power of being able to predict the future and was thus often sought out by people to foretell what was in store for them. He did not share this wisdom easily however and often would change shape to escape and thus avoid this. People would have to hold on to him tightly for him to share what was to come. 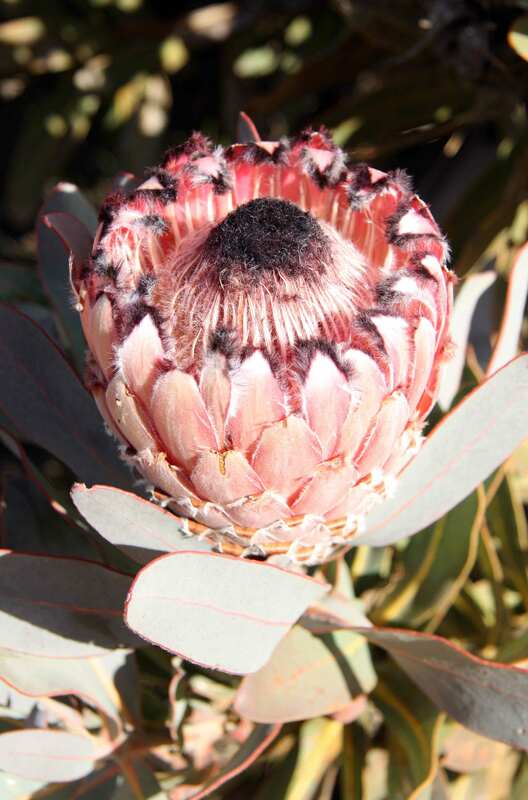 Parallels are drawn between the many forms that Proteus took and the wide variety of different forms of Protea flowers. Above: Protea nana growing in Altimontane Fynbos in the Hex River Mountains. 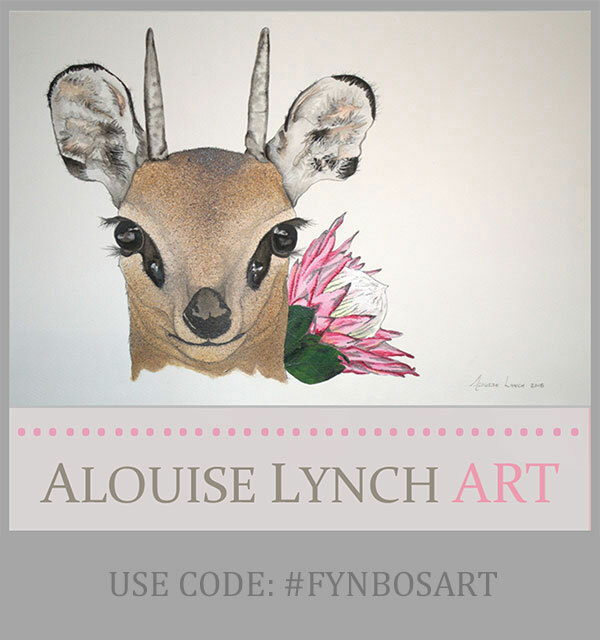 There are around 112 species, 89 of which are restricted to Southern Africa and most of which only occur within South Africa’s Cape Floristic Region. The genus Protea forms part of the Proteaceae family alongside Leucospermum, Leucadendron, Serruria, Mimetes and several other genera. 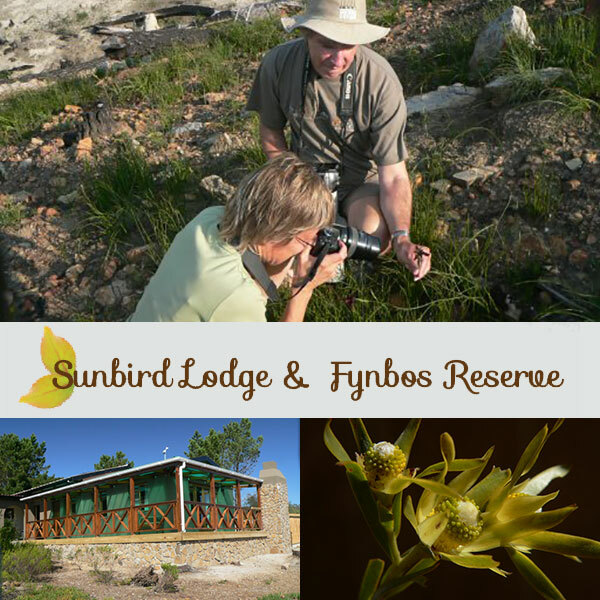 The Proteaceae family contains more than 1700 species, most of which come from the Southern Hemisphere. Members of the Proteaceae family are distributed northwards to Tropical Africa, Australia, New Zealand, Chile, New Caledonia, Borneo, India, Southeast Asia and even Japan. Evidence from fossil pollen has shown that the Proteaceae family has its origins from the supercontinent Gondwana 140 million years ago. Fossils evidence has also revealed that proteaceous plants were even once found in Antarctica prior to climatic cooling turning it into the icy wilderness that we know today. 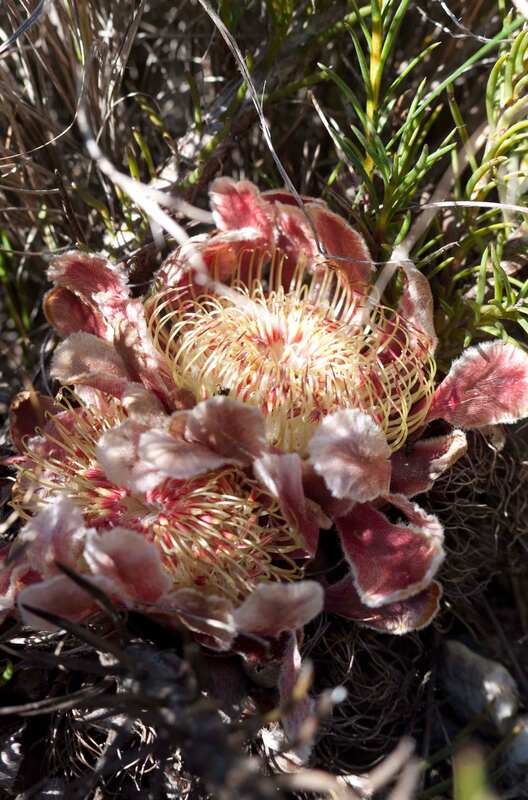 Top: Endangered Protea decurrens growing in Overberg Renosterveld. 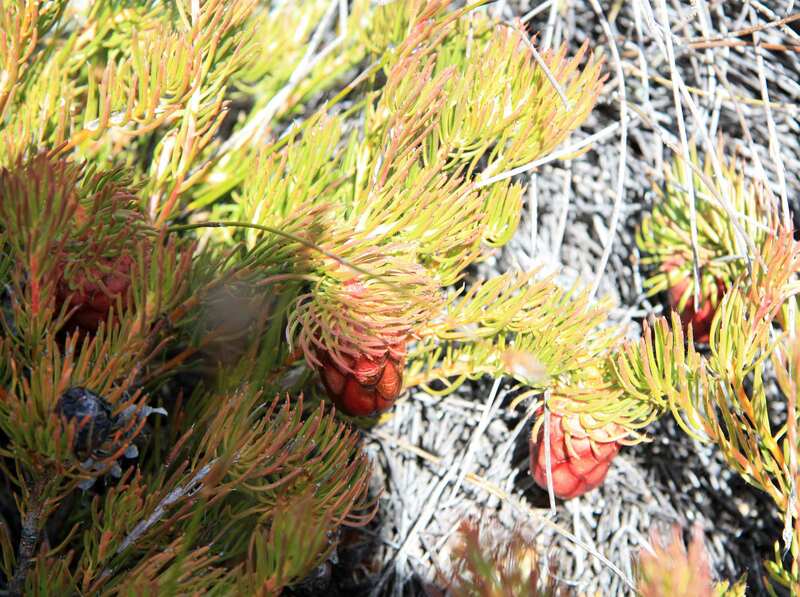 Above: Protea lorifolia growing in the Swartberg Mountains. 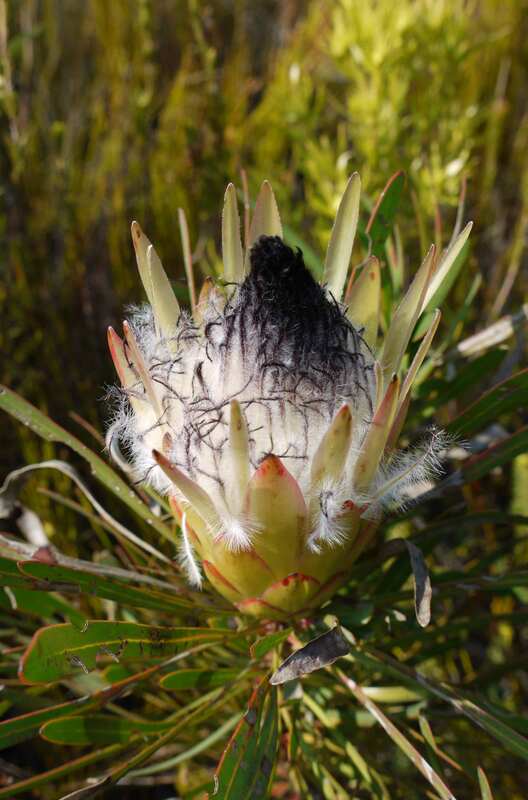 Within the CFR Proteas can grow from tall trees up to five metres. 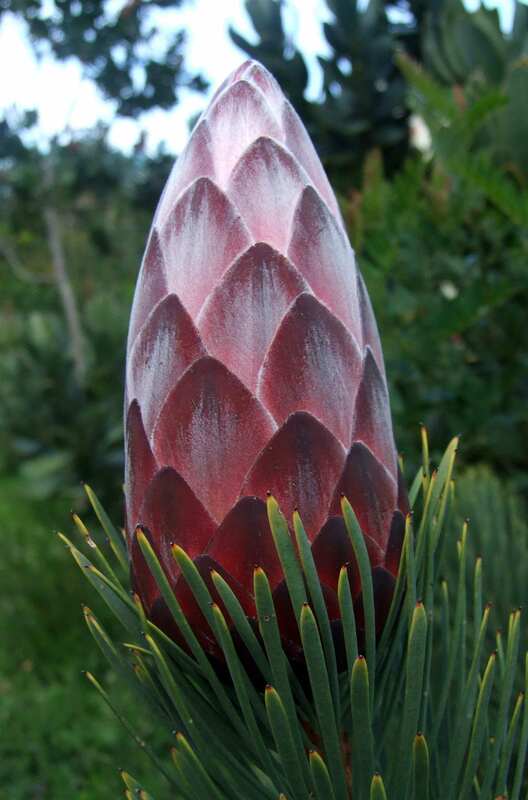 Protea nitida, also known in Afrikaans as the Waboom or Wagon Tree is one example. It was historically used for firewood, making charcoal and tanning leather. The wood was also used for making brake blocks and wheel rims for wagons. The bark was stripped and used to make an infusion for treating diarrhoea. The leaves were used for making ink. Meanwhile Proteas can be as small as the diminutive Protea nana, also known as the Mountain Rose. The dainty hanging red flower heads emit a yeasty aroma and are pollinated by rodents. Above: Protea odorata, one of the world’s rarest and most threatened Protea species. Some species of Protea such as the King Protea (Protea cynaroides) are relatively common and widespread. 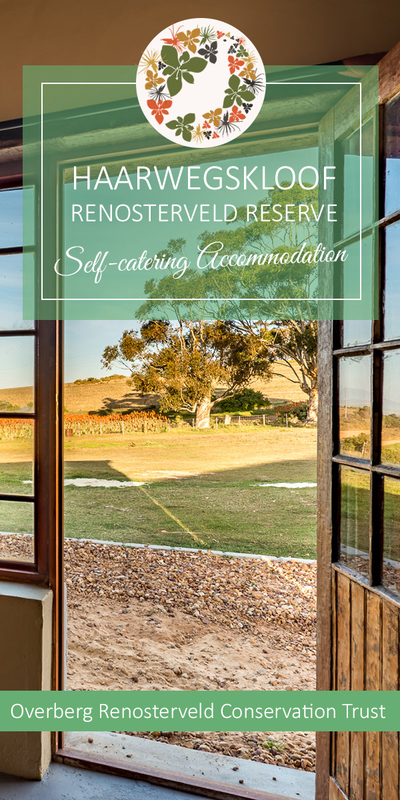 It is distributed from the Cederberg southwards to the Cape Peninsula and eastwards to Grahamstown in the Eastern Cape and can be found in a variety of different forms, colours and sizes according to the area of origin. 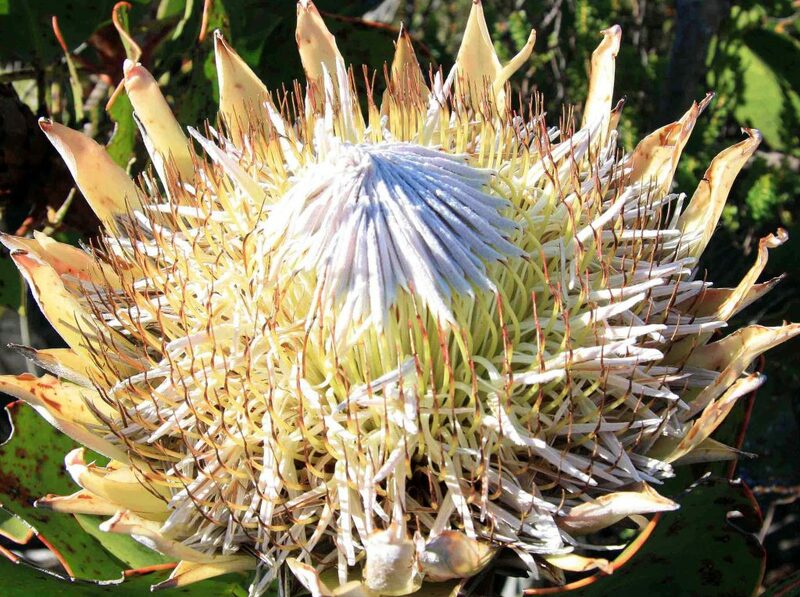 Meanwhile there are other species of Protea teetering at the brink of extinction and needing all efforts possible to conserve them. 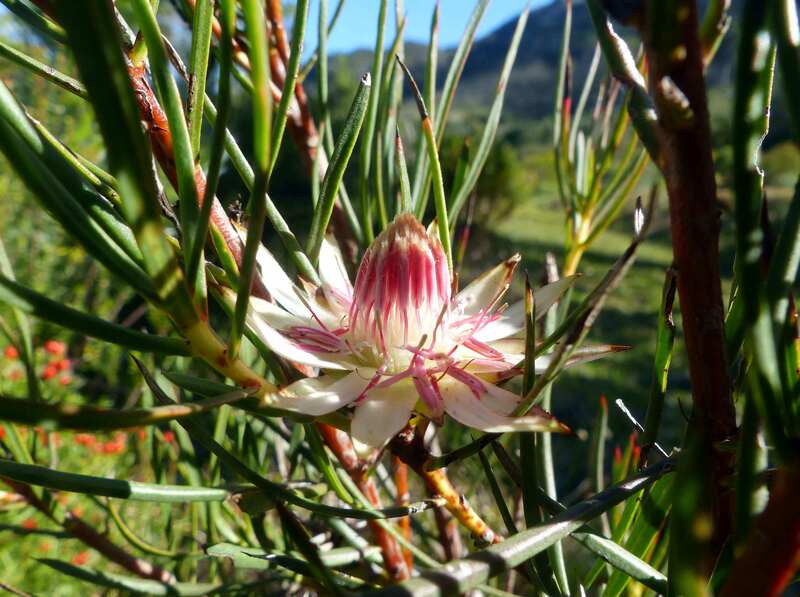 Protea odorata, also known as the Swartland Sugarbush, is listed as Critically Endangered on the Red List of South African Plants. Only around 30 plants of this species now survive in the wild where it is distributed in lowland vegetation from Klapmuts to Riverlands. The small and delicate pink and white flowers of this species are pollinated by wasps. Top: Protea magnifica flowering in winter snow in the Hex River Mountains. 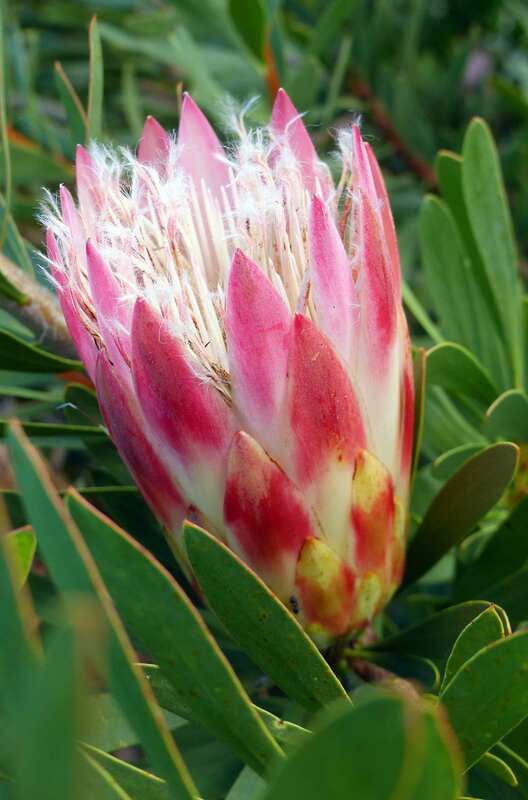 Above: Protea repens is a common element of Critically Endangered Cape Flats Sand Fynbos vegetation on the Cape Peninsula. 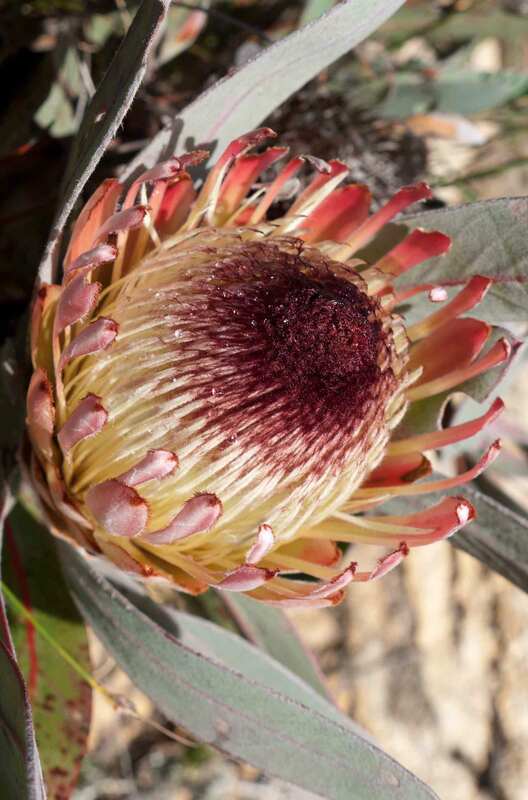 These are just a few examples of the richness and diversity of the genus Protea and far more can be seen while exploring the mountains and lowlands of the Cape Floristic Region. 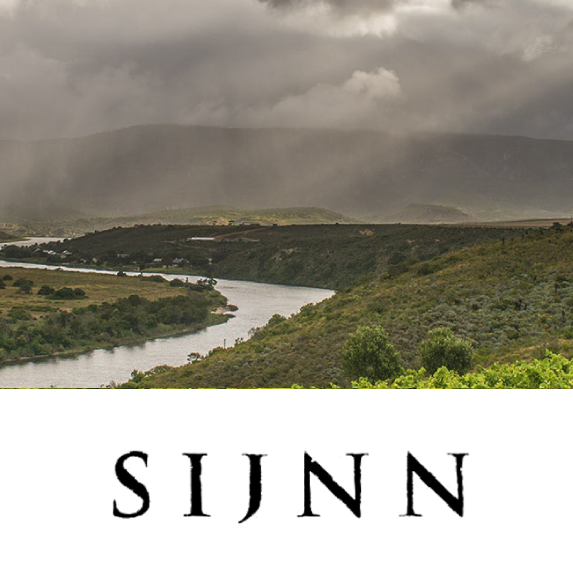 Why not take yourself out for a hike and find out more? Paterson-Jones, C (2000) The Protea Family in Southern Africa, Struik Publishers, Cape Town, South Africa. Rebelo, A.G (2001) Proteas: A field guide to the Proteas of Southern Africa, Vlaeberg Press, Cape Town, South Africa.